Sarah Culpepper, 34, F, TN. George W. Culpepper, 1852 Lincoln Parish, 79.7000 acres/28572524. E-mail written 1 Feb 2005 - Apr 2015 to Lew Griffin from Newton Ivan "Buddy" Hilyer Jr., e-mail address. Find A Grave Memorial# 19184500. Fischers Mill, De Kalb, Alabama; Roll: T623 14; Page: 8A; Enumeration District: 76. Annie E Baker 77 Mother Feb 1822 W b. TN SC SC. 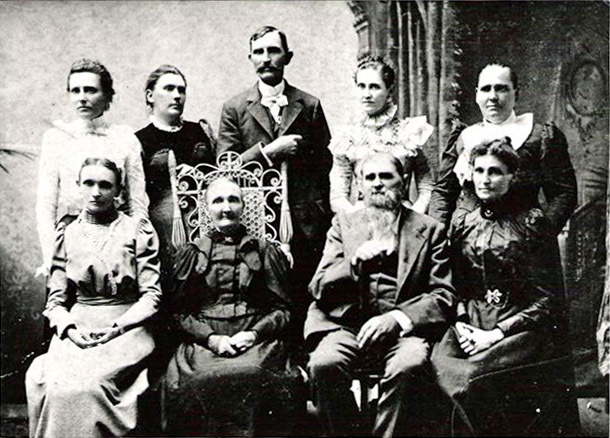 Biography* � According to descendant Nada Hyde Seargeant, Rufus "died from lifting a hog and had a rupture and they could not get a doctor for him in time." 1840 Census 1 Jun 1840� Benjamin was probably a free white male, age 10 and under 15, in Joel Culpepper of Cherokee Co. AL's household, on the 1840 Census on 1 Jun 1840 at Cherokee Co., Alabama. Joel Culpepper, 1 M10-15, 1 M50-60, 1 F0-5, 1 F5-10, 2 F10-15, 1 F40-50. Jackson County Alabama Marriages 1851-1856 and Book 1859-1871. 1840 Census 1 Jun 1840� Mariah and Eliza was probably a free white female, age 10 and under 15, in Joel Culpepper of Cherokee Co. AL's household, on the 1840 Census on 1 Jun 1840 at Cherokee Co., Alabama. 1840 Census 1 Jun 1840� Mary was probably a free white female, age 5 and under 10, in Joel Culpepper of Cherokee Co. AL's household, on the 1840 Census on 1 Jun 1840 at Cherokee Co., Alabama. Joel Culpepper, Titus Co., TX. 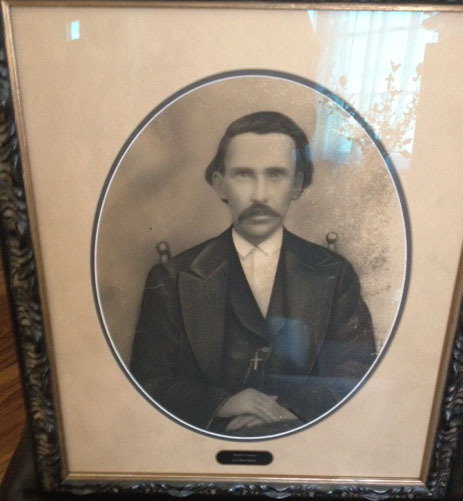 Grantee: Joel T. Culpepper; Patentee: Joel T. Culpepper; 06 Dec 1871; 160 acres; Titus Co., TX. R. Culpepper, Titus Co., TX. Find A Grave Memorial# 46859162. Obituary* say 4 Apr 1895� The subject of this obituary, sister Eley E. Reece, was born June 11th, 1835, and died April the 1st, 1895. Her maden [maiden] name was Culpepper. She was married to Mr. John Reece in 1857, whose joys and sorrows she shared until her death. She was a member of the Methodist church and was a thoroughly consecrated Christian, a devoted wife and an affectionate mother, having raised a large family of children. I had the pleasure of being her pastor for two years, and always found her home a bethel for the preacher. She was ever cheerful and generous; always at her post in the church and often shouted the praise of God. My last meeting with her was on Thursday before her death. Our next meeting will be in heaven. She was taken seriously ill Saturday before her death; Dr. Duff was called in and done what he could, but the stuborn [stubborn] disease did not yield to his prescription. E-mail written 7 Nov 2007 to Warren Culpepper from Judith Hunt Kugath (2ggd/o #48994), e-mail address. 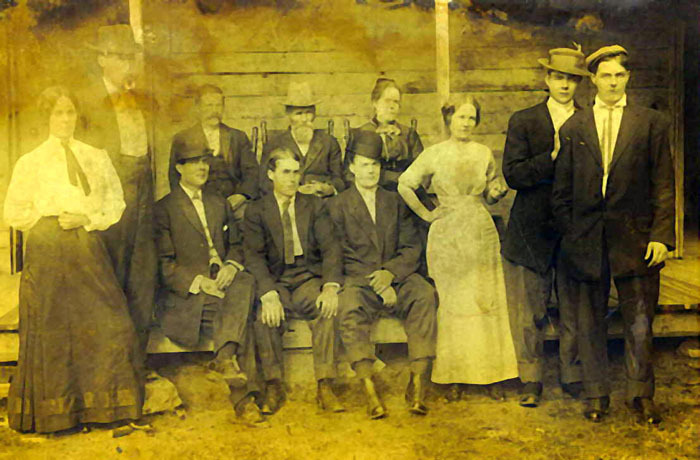 Photographed* say 1900� He was photographed say 1900 at DeKalb Co., Alabama. who died three years ago, leaving him sad and lonely. His children did all they could to cheer and comfort him and succeded in making his life as pleasant and happy as the circumstances would permit. As was his custom, he conducted family worship in his house in the evening of May 17th, using the hymn, “O, for a closer walk with God.” After prayer, he retired, apparently in his usual health, and fell into a sweet sleep. In the morning when one of the children went to awaken him, it was found that the angel of death had summoned him during the night to join the company of the redeemed and glorified around the throne of God. A large concourse of relatives and friends were presentst the funeral services,contucted by Rev. J.G. Johnson, presiding elder of Anniston District, Alabama Conference, after which the remains were laid to rest in the Fisher Cemerery to await the resurrection of the just. from the DeKalb County newspaper. 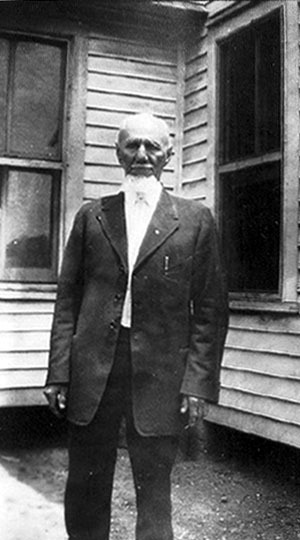 Rufus Washington Culpepper enlisted in the Cherokee Davis Guards, then when they reached Nashville they enlisted in Clifton's 4th Alabama Battalion: Maj. James M. Clifton. The records now will show that he was in the 55th AL Reg't, but he never was. It was due to trying to simplify the records that members of the 4th AL Bat. are shown under the 55th. Biography* � Rufus W. CULPEPPER was the son of Martha Melvina BAKER and John Tyler CULPEPPER. In the 1850 Cherokee County Alabama census he was shown as George W, age 13, - census taken 25th of November. In 1860 Cherokee County, AL census George W. CULPEPPER has changed his name to Rufus W. CULPEPPER. Rufus, age 22, teaching school, and Mary L. age 17 had been married within the year. Rufus and Mary L. had one child, daughter Josephine. Rufus W. Culpepper died during the war. I wish I knew if he died of an illness or was killed, and where he died. In 1870 Cherokee Co. census Mary, age 27 and Josie, age 10, were living with Mary's mother Eliza EMERSON. In 1880 census - Cherokee County, AL- Josephine CULPEPPER, age 19, daug is listed in the household of Reynolds CANTRELL, age 56 and wife Mary, age 37. Emma, 19 daug and David, 3.son. Josephine never married. She came to Texas with her mother & stepfather, Reynolds Cantrell. They were in Texas by November 1882. 1900 census shows half brother Edward was born then. She lived with the family in Van Alstyne, TX. In 1930 she was 69 years old, living with her half brother Roy and his wife. It was there that Virginia Ann CULPEPPER CHISENHALL'S (sister of R. W. Culpepper) daughters Mabel Walker, Tollie Taylor, Vera Norton and Cricket Watkins used to go and visit their Cousin Josephine. Believe Virginia Ann called her brother "Washington" because that is the name my mother called him. But the letters were signed R. W., and I was completely confused until I found R. W. and Mary Culpepper in the 1860 census. Cousin Josephine either let the Chisenhall sisters have her father's letters to copy, or gave them copies. I believe that my Aunt Vera is the one that transcribed and typed them. When I found the original letter #7 - I found in her version of it that she had left part of it out and corrected spelling, punctuation and grammar. I have tried to find the other original letters, but started on that much too late. My aunts' families knew nothing about them. I went to Van Alstyne once, but the family was gone. Cousin Josephine had died a number of years before. A couple of people in the drug store did remember the family. However, they said the family left Van Alstyne a long time before.. On Culpepper Connections Death Records a Josephine Culpepper is recorded as died 16 Nov 1957 in Grayson County. That would make her 97+. time but Rem. Your affectionate Hus. the carrs. I charmed them all "a singing my farewell song"
nor where we will go. will not send any more that way. of all till I come home which you know I will when I can. t. and do well. I can not tell when I can come home. danger at this time, but all of them are getting well. John D.
guard them night and day, which was a great relief to all of us. will burn. Tell her not to be the least uneasy for it will come. will not put up with it at all. to get Paw to salt your meat for you. So no more on that subject. grave of General Andrew Jackson. It is ten miles from this place. it is my duty to be here, but at the same time my heart is there. other day and the boys say that it is the best one they ever saw. & family, and to all of my friends—if I have any. Tell M.H. The original of this letter is in possession of Mrs. Shirley Taylor Miles. It has been mended, restored as much as possible and preserved between archival plastic so both sides may be seen, but this was done only a few years ago. It had been patched with scotch tape, and kept in its original 9 folds until then. One corner was broken off after it was copied at the same time as the others. It was in nine folds to make its own envelope, and addressed on the outside. This letter was written on ruled tablet paper with black ink. I copied it as near as I could to the original spelling, capitals, punctuation and lines. 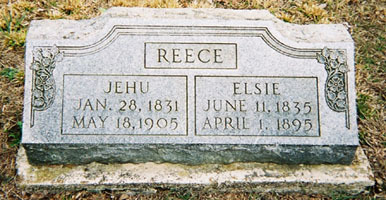 D. C. Reece married Elcy Elvira Culpepper, sister of the writer. 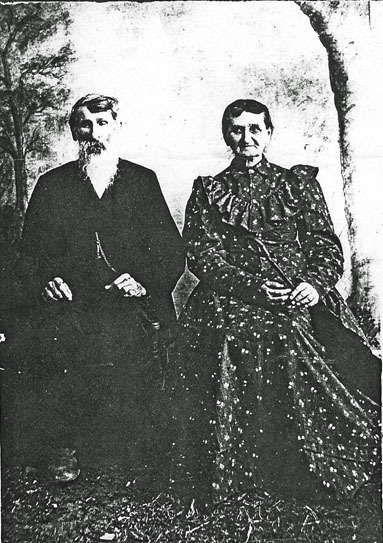 E. H. (Emerson) is a brother of Mary L. Culpepper. Mat (Culpepper) is brother of writer. come to hand may find you and Josephine well and doing well. sent our trunks home, or we sent them as far as Stephenson. must sort them all out. You will find their names on them. I sent James’ trunk there with the rest of them. it at this time, I wish I could. Tell B.M. I am looking for him now. marched until I am getting tired of the business myself. a time or two. Lige never had a chance to hit Ed any time. Ed has all the friends. The whole Co said that Ed done just right. they are not going to be punished at all. been marching ever since I left home. We are now at Decater, Ala.
boys, and I expect a little better. & Mat is well and harty, E. H. Drake & C. Neurk are well. The health of the Company is very good considering every thing. the present time, I remain as ever your true till death. time. We have about 100,000 men at this place. very good. I have stood the tramp very well. I had it but I have not got it now. firing from their gun boats at our Pickets. yet and we are anxious to get into one. Mat, Ed, Hari and Andy are well and doing well. Page 133, family 310, Rufus W., age 22, "teaching s com," Mary L. C., age 17, a domestic. Rex Miller, The Forgotten Regiment, A day by day account of the 55th Alabama Infantry, CSA, Dayton, OH, Morningside Bookstore, 1984. Facts provided to Culpepper Connections by Greg Smith of Florence, KY.